The Mckenzie's originate from Kirkcudbright County, Scotland. Many in the family went to Canada after the lease on the farm expired in 1856. My ancestor, Robert Mckenzie, married in Dublin in 1863. By 1870 he was back in Dalbeattie working as a granite polisher. 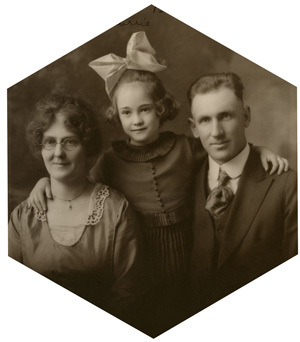 In 1890 the family emmigrated to Barre, Vermont. After 1890 no trace of the family can be found in Kirkcudbrightshire. John James Mackenzie, son of Robert Mckenzie, became a public official in Barre from 1901 to 1907. These pages include all branches of the Mckenzie and Scogings lines. This includes over 1000 different surnames. If you find common names in these pages, chances are you are a cousin. Whether you are a 1st cousin or a 5th cousin you are welcome to contribute information here. You can contribute in various ways; contribute a picture of a tombstone, an obituary, history, gedcom, or anything you deem to be of value to future generations. There are over 6500 names in the database in 10 separate gedcoms. Search the names in a gedcom or a standard search combines all the names and gedcoms into one search. It costs about $60 a year to keep the site running. If you want to contribute let me know. If you want me to buy a birth, marriage, or death certificate or other document contact me. This site powered by The Next Generation of Genealogy Sitebuilding ©, written by Darrin Lythgoe 2001-2010.